The brand new outdoor swimming pool of the Center was built by the Italian architect Renzo Piano in 2013. 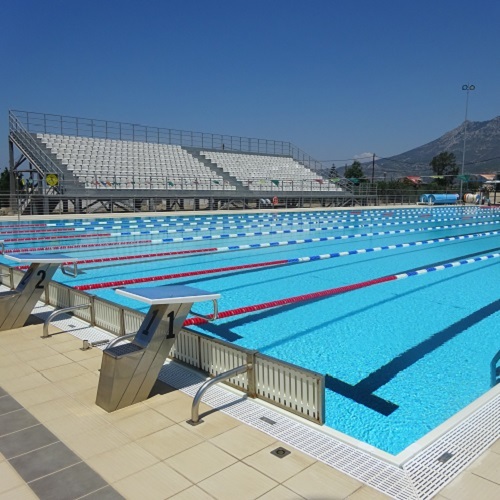 The modern Municipal Swimming Centre of Loutraki is equipped with starting blocks, audio start system, electronic touch panel, sono, electronic timing equipment, water polo goals, etc. It may host any kind of training in aquatics, as well as any major competition. The swimming pool is equipped with starting blocks, audio start system, electronic timing equipment, water polo goals, etc. Heraion Lagoon is a 20 minutes drive away from Loutraki and it has been declared as a region of rare natural beauty. In cooperation with Arion nautical Club and its fully equipped nautical facilities will ensure the best sport and weather conditions. 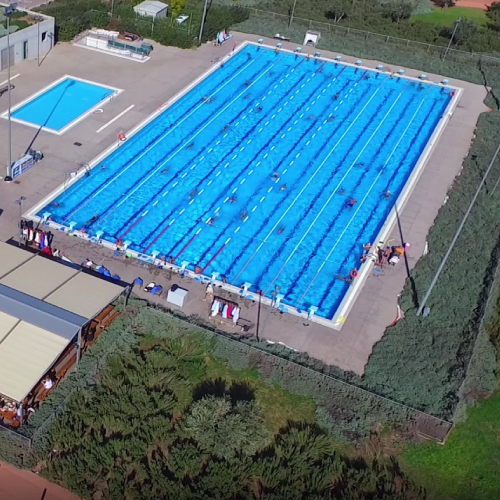 One 25m heated pool (26oC, 25x12.5m, 3.15m maximum depth, six anti-wave lanes, starting blocks, timing equipment and two blocks of changing rooms).